It's true that many of the memories I have from when I was a child are of cleaning. My mom was very strict and she loved nothing more than to clean, clean again, and then clean some more. Back then, being a kid, I didn't really appreciate it at all. No kid wants to spend their life cleaning right? But we did our share of cleaning and now as I think back to all those times, the memories are not actually unpleasant, instead they are kind of nice. As families grow older, they tend to separate and my siblings and I don't see each other very often, so the memories I have of them when we were all little are pretty priceless now. What really stands out to me in those memories now is the scents that surrounded us, and those are the scents that I now use to keep my house cleaner. I remember very strong scents of lemon, because my mom has always used the same lemon wood cleaner and I remember the varied scents of the floor cleaners we used throughout the house too. Sometimes it would be lemon or pine and then of course lavender. Lavender is a scent that brings back so many memories of those Saturday's we would spend as a family cleaning so we could enjoy our Sunday off. Now that I am a mom I definitely don't put as much of an emphasis on cleaning as my mother did, but because of her influence I am still a neat freak. But I do my best to keep it in check. Instead we clean a few times a week and as long as everything looks neat and clean, I can function and I don't have to harass anyone. And normally my girls are pretty good about it and will even pull out the cleaning supplies on their own. 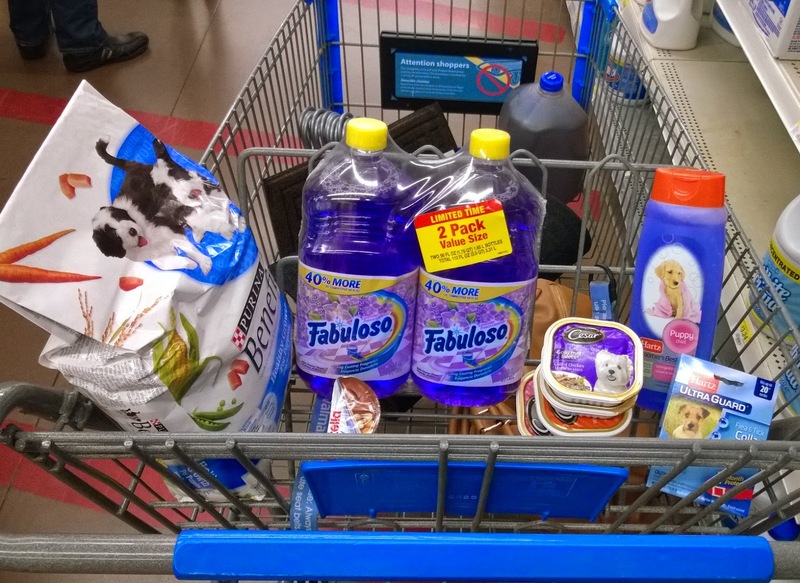 China, who is the one who enjoys cleaning the most, is the one that always reminds me what cleaning products to purchase when I go to Walmart and this week she asked for more Fabuloso. 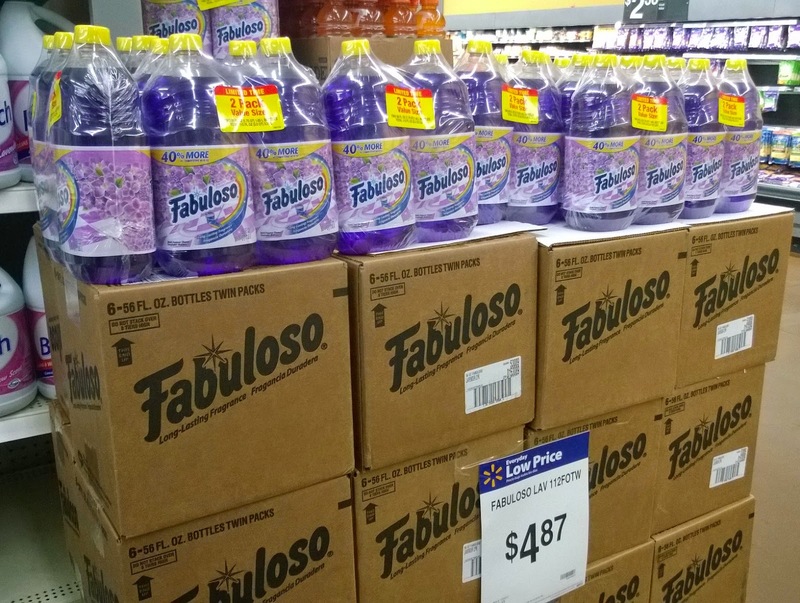 Perfect timing because Walmart now carries a Fabuloso Twin Pack in lavender, that gives you even more bang for your buck than normal. I grabbed this special Fabuloso twin pack, along with the other items on my list and knew we could keep one bottle for ourselves and give Cici the second one for her new apartment. My girls use the same cleaning products that I use in their homes, which are the ones my mom used, so we have a real tradition happening here. In our Mexican culture, traditions are very strong and I try so hard to make sure that my girls who are mixed, take as much of my culture with them as possible, even when it comes down to the cleaning products we use. Coming home at the end of a long day of running around getting everyone to and from school and activities and smelling Fabuloso upon opening the door will never get old. Strange that something that might seem so trivial to some, is so important to others. Those memories I have of cleaning with my sisters while my little brother played on in the same room, those are special moments that will never happen again. And that's why I love infusing my home in the same scents, one day I want these same scents to remind my girls of me and of themselves when they were little. Sometimes memories are all you have. Enough of the melodrama, now let's talk about how happy cleaning can be! Check out my little family cleaning moment with 4 of my grand babies, yes these are my grand kids. The bottom half of the walls are always super dirty from their little hands so on Friday's we do a small cleaning before heading off to haircuts and dinner. As long as you add music, they don't mind! How do you clean as a family and what traditions are you passing on to yours?